Versatility is one of the characteristics I admire in other writers. It’s awesome when someone can do totally different genres or styles or voices equally well. If you appreciate this too, you’ll want to meet Dashka Slater. I first was introduced to Dashka’s picture books like DANGEROUSLY EVER AFTER, ESCARGOT and THE SEA SERPENT AND ME. Then, I met Dashka in person, and found out she was a journalist, too. Even better, I thought. 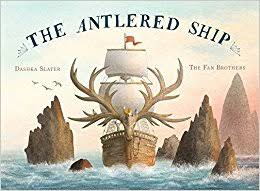 So when her picture book THE ANTLERED SHIP was published by Beach Lane Books earlier this year, I was excited to see it, as I’ll explain shortly. But then … THEN … I discovered that Dashka was more than a journalist and a picture book writer. 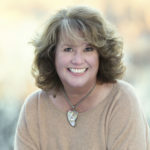 She’s also the author of THE 57 BUS, a nonfiction young adult book that was recently released by Farrar Straus Giroux. I checked it out from the library and read the first few pages, intending to put it down and come back to it later. But I couldn’t stop reading. I read the whole thing in one sitting and immediately began recommending it to everyone I know. My sister read it and texted me: “What a fantastic book.” Which it is, as I’ll explain shortly. But first, back to THE ANTLERED SHIP. Do waves look more like horses or swans? So when a never-before-seen antlered ship arrives full of lost but adventurous deer, Marco decides to join them on their quest to reach a special island. He hopes he’ll find some foxes who can answer his questions. He doesn’t, but he does discover things about himself he never knew before, including new friends, answers to some of his questions and, most delightfully, more questions to wonder about. I highly recommend that you procure a copy today so you can admire — and feel — this book for yourself. And now, back to THE 57 BUS. This is most certainly not a picture book. 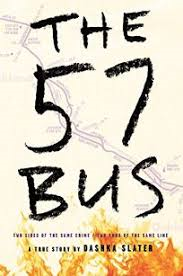 It’s a remarkable, detailed, human telling of a horrific crime that actually happened on the 57 bus in Oakland California when one teenager set the clothing of another teenager on fire. Initially, I wasn’t sure this was something I wanted to read about. It seemed too terrible. But what makes this book compelling is how completely Slater — who spent three years researching this story and getting to know the folks involved– introduces us to the complex teens on either side of the crime. One is definitely the victim, and the other is definitely the abuser, but there are more layers here than you might expect. At first glance, the two teens have little in common. The victim is white, agender, described as “a scholar” by teachers, has Asperger’s and attends a small, private high school in a relatively affluent area. The abuser is African-American, male, has an unremarkable academic record, is known for being friendly and funny, and attends a large, public high school is a less well-off part of Oakland. But both have friends and families that love and support them and want the best for them. And all those family and friends feel sympathy and compassion for the other teen’s family and friends after the incident. This book is, as its dust jacket says: “a riveting exploration of race, class, gender, identity, morality and forgiveness.” And so far, it’s the best book I’ve read in 2017. I hope you’ll read it and THE ANTLERED SHIP to get to know Dashka’s Slater’s gift for telling compelling stories in different styles. Dashka Slater, Fiction, nonfiction, Pat Zietlow Miller, picture books, the Fan Brothers. Bookmark. I just picked it up yesterday and plan to finish it today (The 57 Bus, that is). SO well done! Wow, versatility is right! I’ve read the Antlered Ship…lovely. Now, I’m curious about The 57 Bus. Thanks for the recommendation, Pat! Thank you, Pat, for this compelling recommendation. 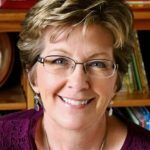 The two books are now on HOLD at my local library! Thanks for the recommendations. I just saw The Antlered Ship in a bookstore window and wanted to read it. I’m now curious about The 57 Bus (though it does sound horrific – the story, not the writing). Thanks! Wow! I can’t believe the diversity. Thank you, Pat! Versatile, indeed. They both sound amazing. I hadn’t heard of Dashka, but look forward to checking out her work. Gotta read both of these! Thanks, Pat, for introducing these books to me. I had never heard of the incident on the 57 bus. Dashka is amazing, for sure. Can’t wait to see what she does next! Looking forward to reading both of these – thank you for the terrific post, Pat! Loved THE ANTLERED SHIP. And several others by Slater who excels at finding unique perspectives on recognizable childhood themes. Haven’t picked up THE 57 BUS yet but it sounds compelling. Thanks, Pat.